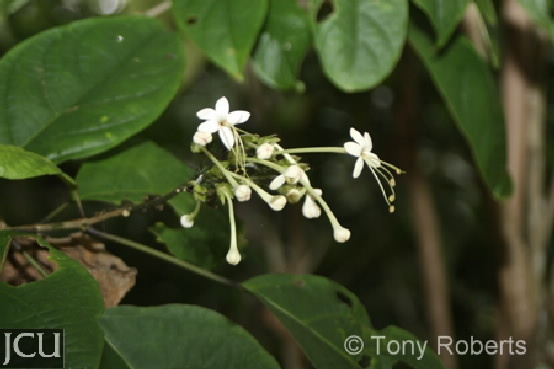 Tall shrub with simple opposite leaves, the flowers have a long corolla tube to 45 mm, lobes 5, spreading, white, the 4 stamens are much exserted. 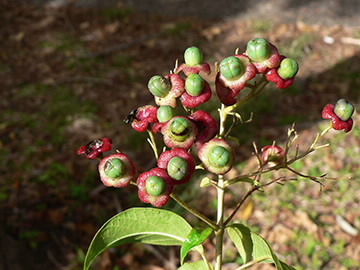 Fruit weakly 4-lobed and sits atop the spreading, red calyx. 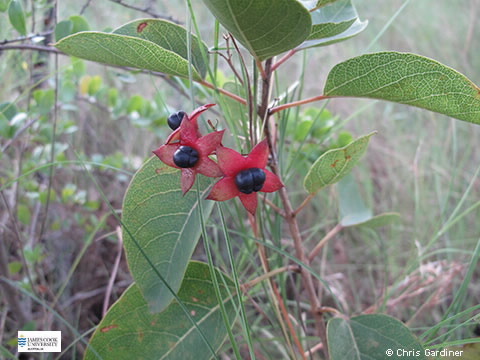 Flowers often parasitised and appear short and fat.